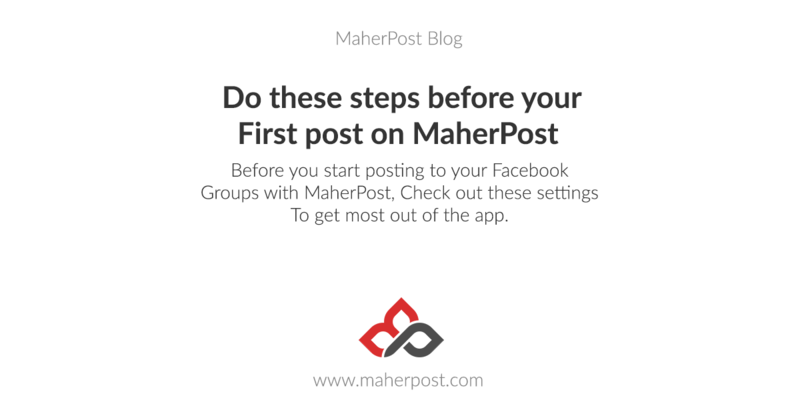 You have signed up for MaherPost for auto posting to Facebook groups, But before you can start posting to your Facebook groups, you need to do these settings to ensure everything goes smoothly. On Main Dashboard, Check the time of the server by clicking Scheduled posts button. If it is different from your country’s time, then it can disturb your schedules. The displayed time of your post will be different from the actual time of posting in this case. So once you have checked the current server time and if it doesn’t match your time, head over to General Settings inside settings menu. Here we need to change your timezone based on your location. Here, In the timezone option, Select your timezone based on your location. If you’re unsure about your timezone, search Google for your country/city’s timezone. Doing so will ensure that the time you select when posting is in your own timezone. Don’t forget to click save changes after you have selected your timezone. Unique Post: Selecting the unique post option will enable the app to automatically add a unique id to each post that sends out to each group. So your posts won’t be seen as spam by being the same message over and over again. With unique ID attached and random time intervals, MaherPost ensures that your Facebook group posting needs are met without encountering any issues. Unique Link: Unique link is basically as same as the unique post. It adds a short random code at the end of your links. It doesn’t change the destination of your links but just makes them unique in the eye of Facebook spambots. You shouldn’t enable unique link if you’re going to post short links from goo.gl or other sites through the app. As by adding the automated code in the short links, it’ll actually change their destination. While with MaherPost, you can post to all groups you’re a member of, Sometimes you just want to post to all open groups, where your posts will be posted right away without any admin moderation or else. So selecting this option will ensure you see only open groups in your MaherPost dashboard and all your posts go right through to all groups. To change these settings, Go to Settings -> Publish Settings, And enable/disable items as per your needs. Note: Don’t forget to save changes if you have made any changes here. I have recently added to several new groups, but my database of groups on your system has not updated. Why is this?